The jewellery was one of the important accessories worn by Victorian women. The Victorian jewllery can be categorised into three eras. The early years of the Victorian period were known as the Romantic period and towards the end of this period, brooches and pendants became popular. The Mid-Victorian time, mourning jewellery was common. 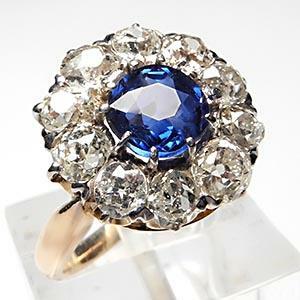 During the later years of the Victorian era, jewellery was more feminine with the usage of diamonds and gemstones. Victorian jewellery was designed with the help of religious symbols like crosses, ivy and Greek letters. Queen Victoria wore expensive jewellery which became a source of motivation for her people. She also made her own jewellery and gave away jewellery as gifts. During the initial years of the Victorian era, Ferronieres jewellery fashion prevailed wherein chains had a jewel placed in the center and this jewellery was to be worn as a tiara. The jewellery made in the initial years of the Victorian era was from semi- costly gems and shells which were carved manually and were tremendously popular and was extremely fragile and small. The early 18th-century jewellery apart from being hand-made, were very expensive. The nature, serpents, flowers, birds, etc acted as a source of motivation for the designing of jewellery made during this period. Flowers were popular during the first half of the century while the concept of snakes and serpents dominant around the 1840s. Cameos were regarded as a symbol of Victorian tradition and jewellery. Other jewellery items like earrings, rings or necklaces had carved shell cameos. With the advent of machinery, chains and other jewellery items were made from them. The use of machines drastically reduced the time the consumed for making a complete piece of jewellery and was even less expensive. Chokers were also popular during the Victorian period. During the early Victorian period, lockets were popular and it was possible for it to be made from a variety of materials available. Victorians kept a small picture of their loved ones in the lockets which were worn underneath the clothes to avoid the picture being seen by people. Brooches were also well liked by the Victorians and could be worn around the neck, waist and hair and were made from silver, gold, base metals, pique and tortoiseshell. Pin brooches were crafted in the perfect Victorian style. These brooches include designer brooches, the cameo, there were brooches available in the vase shape adding to its charm. Also framed brooches and classical brooches were used by the Victorian women. Hair jewellery was a necessary part of styling for the women. Attention was paid to the kind of jewellery used as the women had long hair and they very proudly exhibited it. It also includes barrettes, cameo hairpins, novelty hairpins, Victorian style hairpins, etc. Mourning brooches became popular after Queen Victoria started wearing them after the death of Prince Albert. Queen Victoria was the idol and trend setter and people followed what they saw and heard the Queen do. Human hair was also woven into complex designs on pins, bracelets and brooches. After the death of Prince Albert in 1869, dark colored stones like jet black were used in the jewellery as the entire country was mourning the death of the Prince along with the Queen. During the mourning period, women wore black clothing and black jewellery. The jewelry was made using Jet, Bog Oak, Onyx, French Jet and similar materials. Gemstones were worn in the Mid-Victorian times and some of them like amethysts, crystals, diamonds, opal, tortoiseshell, emeralds, etc were popular. During the late Victorian period, bird and animal parts were used to embellish the jewellery. This type of decoration seems to be gruesome in today’s time. However, the jewellery was a means to showcase one’s interests and Victorians are known to have used gem set butterflies, houseflies made of gold, beetles and monkeys for styling the jewellery. Lace pins were popular during the later years of the Victorian era. These pins were used by the women to place the laces firmly on their dresses. The lace pins were tiny but were decorated with pearls, stones and had gold or silver filling. In the late 1800s, there was one kind of jewellery made exclusively from seed pearls which were sewn in the mother-of-pearl along with a white horsehair. It took a lot of time to make such jewellery and was thus very costly and so it was necessary to use it with utmost caution.